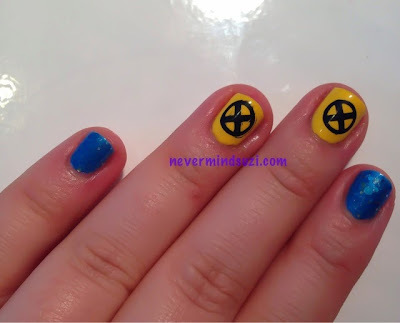 So I was heading to the movies with a friend to see the new X-Men movie "Days of Future Past" and being me I had to have themed nails. 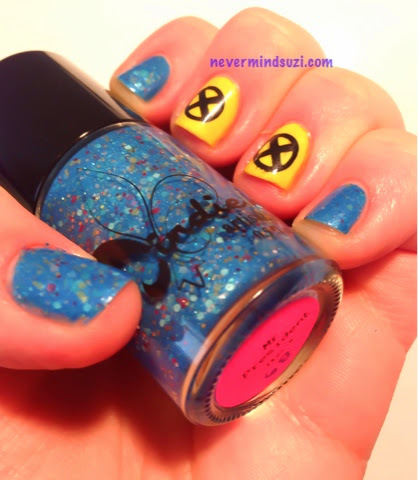 I went Old Skool colours of yellow and blue and it was the perfect chance to wear my new Jindie Nails - Mr. President. Me. President is a jelly blue full of blue, silver, gold and red glitters. 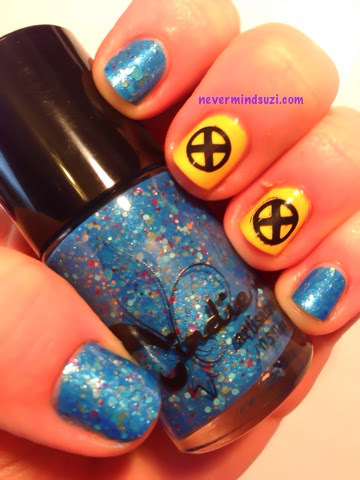 I wore Color Club - Almost Famous on my accent nails and stamped with the X-Men logo. Though after I'd done this I spotted a Wolverine stamp and was a bit pissed at my blindness lol. 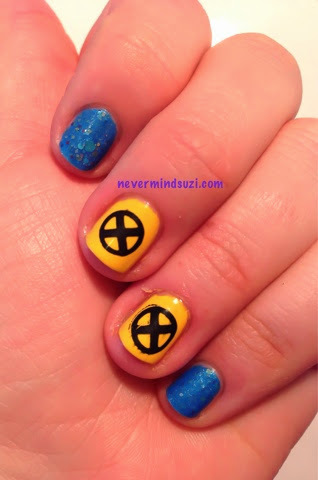 Needless to say the movie was awesome and I looked like a total geek with my Marvel tee and X-Men nails.